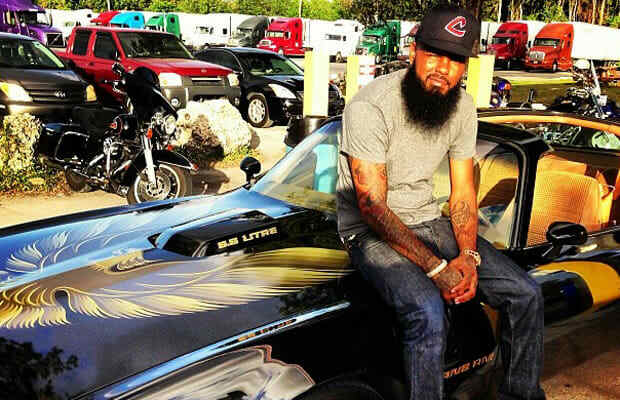 Despite somewhat sitting at the back end of the MMG crew, Stalley is no stranger to having the finer things in life. Hailing from Massillon, Ohio, the young rapper is fully engrained into the hip-hop culture and everything it represents. Looking through his instagram is like an encyclopedia of sneakers and cars. And not just the supercar, Rolls-Royce wave that a lot of musicians are riding these days. Stalley's instagram is littered with pics of gold wire rims, classic american muscle cars like Chevy Chevelles, and some new cars like the Jaguar XKR. Take a journey with the Blue Collar Gang rep with these 25 Awesome Rides Photos on Instagram.